Speaking of security seal, seal wire is necessary to mention. It is thin and long with tenacity, which is used to penetrate holes of many equipment and form a closed loop with lock. And it can be made of many different kinds of materials, commonly steel, cooper, iron, etc. Among many seal wires, stainless steel wire is the most commonly used. Not like straight steel wires as imagine, it is a kind of wires which is made of mutual-wrapping of two or several sticks of steel wires. The reason is that after lock, seal wires have uneven level, which makes it difficult to pull out. And if by force, at least one stick wire is cut off which will block seal and then quickly will find oud seals are broken by someone. Stainless steel wire is usually combined with seals, but the length of wires is under different requirements, which commonly at 250px, 300px, 375px. Or can cut 100m wires to required length for use. 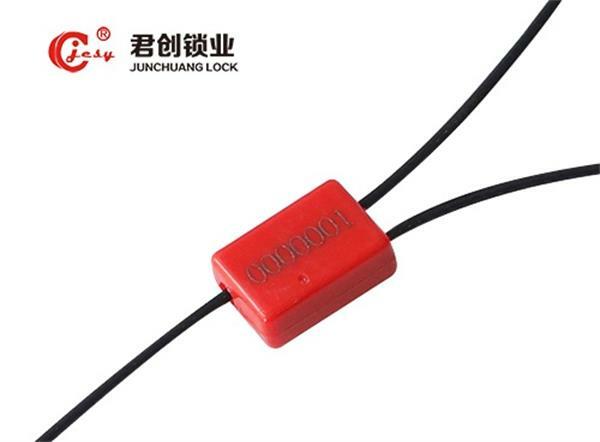 Exactly because wire length can be as control, for big seal range equipment, several seals can be used and locked together by one wire, which can enlarge sealing range, and also guarantee the safety.